Limited time offer. You can now get lifetime access to interviews and audio recordings from 32 of the most respected Job and Career Experts in the world on the topics of resume writing, interview skills, networking, LinkedIn, Twitter, Facebook, negotiating, and so much more. See the details below. We know that many of you were not able to attend the National Career Summit, and we know that each session is so full of tangible career advice that you’ll want to listen too many of these over and over again. In order to make that possible, we requested permission from each of our speakers to record their sessions and make them available to our Summit attendees. You’ll be able to download each of these sessions in an MP3 Audio format on your computer, your phone, your Ipad or virtually any device and listen to them as frequently as you want for as long as you want. You’ll have lifelong access to the widest range of job and career advice from over 30 of the top experts in the world. To add value to the audio downloads, we are we’re including a print copy of our new career book, titled 101 Great Ways to Compete in Today’s Job Market, as well as multiple bonus offerings. Our new print book includes 101 career secrets from 101 job and career experts, each one providing specific tangible advice for competing in today’s job market. The recordings from the Summit are now immediately available as part of our Gold Package. Complete information about the package can be found below. We have so much confidence in the value of these recordings and our new print book that we are providing a 100% money back guarantee on your investment. If you are not completely satisfied, just return our print book and delete the recordings within the next 30 days and we’ll refund your investment. No questions asked. 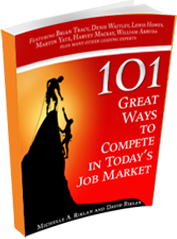 The Gold Package includes 32 audios from our Career and Job Experts, a print copy of the 101 Great Ways to Compete In Today’s Job Market book, plus bonus gifts. You can find your passion and relaunch your career. You can network effectively and secure your next position. You can create a fabulous resume and sell yourself in a difficult job-market. You can identify and act upon opportunities for change. You can fuel your own success. You can learn the most effective job search strategies. And so much more! 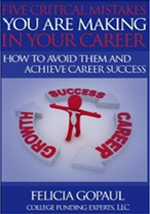 Whether you are seeking answers for yourself or working with a client on career objectives, this book offers solutions, suggestions, advice and support on a wide range of topics including: retirement, business development, career branding, difficult work environments, effective communication, goals, job hunting, leadership resume strategies and telephone interviews. 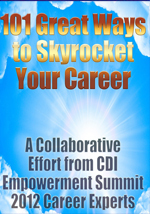 This book is a perfect tool for anyone who is looking to start a career, get ahead in their current position, return to the workforce, start their own business or is in a role that assists others with career development. Martin Yate, CPC, New York Times bestseller, is the author of Knock ‘Em Dead-The Ultimate Job Search Guide, now in its 27th edition. It is the keystone of a 15-book career management series, collectively published in some 63 foreign language editions. Martin has been in career management for 35 year years and has established a global reputation as a thought leader of his profession. As Dun & Bradstreet says, “He’s just about the best in the business.” At http://www.KnockEmDead.com, Martin offers resume & LinkedIn profile writing and career coaching services. You can put your own voice into your resume, reach hiring managers directly, and avoided the dreaded Black Hole to get a better job thanyou ever thought you could. 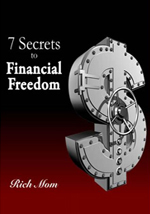 Brian Tracy is a top business and motivational speaker, consultant, and best-selling author. In the last 30 years, he’s consulted for more than 1,000 companies-including IBM, Ford, Federal Express, and Hewlett Packard- and has spoken to more than five million people worldwide on sales, business, leadership, self-esteem, goals, strategy, and success psychology. He’s the top-selling author of more than 55 books, including Eat That Frog!, and has produced more than 300 audio-video learning programs, including the worldwide best-selling Psychology of Achievement. He’s one of the most sought-after success coaches and has transformed the lives of millions of people. For more information on Brian Tracy, go to http://www.briantracy.com. Dubbed the “Personal Branding Guru” by Entrepreneur, William Arruda is credited with turning the concept of personal branding into a global industry. Founder of Reach Personal Branding and author of Ditch. Dare. Do!, he hasdelivered more personal branding keynotes, in more countries, than anyone else on Earth. He inspires top talent in Fortune 100 and respected global brands with optimism, enthusiasm, creativity, boundless energy, and genuine belief in the power of the individual to achieve great things. Learn more at http://www.williamarruda.com or http://www.ditchdaredo.com. Hannah Morgan, Job Search and Social Media StrategistCareerSherpa.netHannah is a speaker and author providing no-nonsense career advice; she serves as a guide in today’s treacherous job search terrain. Hannah is passionate about keeping up with the latest trends in reputation management, social networking strategies, and other methods for standing out in today’s competitive world. She recently co-authored a new book to help entrepreneurs and small business owners market their businesses Social Networking for Business Success: How To Turn Your Ideas Into Income.Hannah is nationally recognized influencer of pro-active job search and is frequently quoted in local and national publications and recognized in Monster.com’s The Monster 11 for 2011: Career Experts Who Can Help Your Job Search. You can learn more about Hannah on Career Sherpa and follow her on Twitter @careersherpa. Miriam Salpeter, MA, social media strategist, job search coach and owner of Keppie Careers, is a go-to expert for job search and small business marketing strategies. 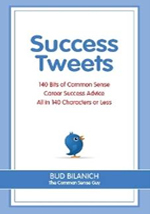 An in-demand coach, writer and speaker, she authored three books, including the brand new Social Networking for Business Success and Social Networking for Career Success, which was just released in a new edition. CNN named Miriam a “Top 10 job tweeter,” and she’s been featured on CNN and quoted in outlets such as The Wall Street Journal and The New York Times for her cutting-edge advice. She contributes weekly to U.S. News & World Report’s On Careers column and to AOLJobs.com. Miriam teaches job seekers and entrepreneurs how to take advantage of social media tools to demonstrate their expertise and build their brands.Learn more and sign up for a free copy of “60 Tips to Land a Job” via http://www.keppiecareers.com. Understand the benefits of using a professional resume writer. Discover numerous services that a professional resume writer can provide that will help you to get ahead of the competition. Mary Elizabeth Bradford is a top award-winning career-services industry expert and is known as “The Career Artisan.” She has 16 years’ experience providing job-search coaching and marketing and branding documents for mid-to-senior-level job seekers. Known as a hidden job market expert, Mary Elizabeth has shown hundreds of professionals at all levels how to get off the job board treadmill and land interviews. Her Job-Search Success System is a revolutionary system that teaches job seekers, step by step, how to set up an easy, turnkey job search that gets results in the hidden job market. Mary Elizabeth lives in the beautiful Hill country of Texas with her husband and daughter. Log on to her Web site, http://www.maryelizabethbradford.com. Debunk the myths and misconceptions of what a resume “should be”. Understand the 5 basic strategies used to develop a compelling resume. Learn how a resume is truly a marketing tool, and how to create one that will sell you to a potential employer. Michelle A. Riklan is a career expert, speaker, author, certified professional resume writer, career coach, and employment interview consultant.She is cofounder of Self Improvement Online. Donna Sweidan, MA, LMHC, MCC is a career coach, licensed counselor and LinkedIn expert. A sought-after speaker and passionate advocate for social media for career and job search success, Donna established Careerfolk, LLC to provide an holistic approach to career management. She offers a unique blend of psychological counseling and concrete coaching that takes clients on a journey from soul search to social media. Donna is known for guiding job seekers and career changers through in-depth self-exploration to help them find fulfilling and meaningful work. She then helps them leverage social media to accelerate their job search and long-term career success. An advocate for teaching the new rules for career management, she is the author of You are the Boss, How to create Income security in a world without Job security. She is a contributor to The Twitter Job Search Guide, and has been quoted in various major news outlets including CNN, New York Times, International Business Times, Forbes.com, Fortune.com.Learn more about Careerfolk’s job search accountability and support groups and sign up for a copy of How to Stand Out and Get Found on LinkedIn: 10 Steps To Optimizing Your Profile at www.careerfolk.com and chat with us at www.facebook.com/careerfolk. Nancy H. Segal is a federal human resources training and job search expert. Following her own 30-year federal HR career (much of it at the senior level), she founded Solutions for the Workplace LLC in 2003 to provide an HR management perspective to both federal managers and astute applicants to U.S. government positions. Having interviewed and hired more than a thousand employees, Nancy knows how to get federal jobseekers past the “gatekeepers” by viewing their application through the lens of federal HR and merit hiring principles. She is well versed in veterans’ and other hiring preferences and eligibilities available to federal applicants.Whether trying to secure a first government job, reach the next GS level, or transition from the military, Nancy’s award-winning federal resume writing and candid, practical coaching on the application and interview process garners client results, repeat business, and referrals. She is a Certified Federal Resume Writer, Certified Federal Job Search Trainer, Certified Employment Interview Consultant, and Myers Briggs certified. Nancy earned a master’s degree in human resources and a second master’s in public administration. Nancy was nominated for a Toast of the Resume Industry (TORI) award for Best Military Transition Resume. Her resumes have been published in The Book of US Government Jobs, 11th Edition, Ten Steps to a Federal Job, and Writing Your High School Resume. Nancy is the co-author of the gournd-breaking book Writing Your NSPS Self Assessment (first and second editions) and has written multiple articles on Federal resume and career related topics.Website: www.solutionsfortheworkplace.com. Dr. Robert Shindell serves as Vice President & Chief Learning Officer for Intern Bridge, Inc., the nation’s premier college recruiting consulting and research firm. Intern Bridge surveys over 25,000 students annually to capture trends of internship and recruiting experiences. The critical survey data is the basis for our work: helping organizations build meaningful entry-level talent programs, and assisting career centers to more effectively serve their student populations.During the past 15 years, Robert Shindell has successfully held a variety of professional leadership roles in higher education. He developed career centers at The University of Toledo’s College of Engineering, Midwestern State University and the Rawls College of Business at Texas Tech University. Robert’s innovative approach to career services led The Rawls College of Business Career Management Center to achieve the ranking of 28 in BusinessWeek’s national ranking of College of Business career centers in 2007.While at Texas Tech University, Robert Shindell was appointed to the role of associate vice president of enrollment services. He led the restructuring and refocusing of the university’s recruiting and admissions initiatives, resulting in a 20 percent increase in applications, 10 percent decrease in the admission rate and the largest freshman and transfer classes in the university’s history.Robert earned a Ph.D. in Higher Education Administration from Texas Tech University a master’s degree in training and development from Midwestern State University, and a bachelor’s degree in education from the University of Toledo.Robert is a frequent speaker at education and career management conferences, and he resides in Austin, Texas with his wife and son. Mr. Cooper has been featured as a Top National Resume & Career Expert in Martin Yate’s book, “Knock em Dead, Secrets & Strategies for Success in an Uncertain World.” Mr. Yate, author of the all-time #1 bestselling resume book series stated, “We live in an uncertain world where the knowledge and wisdom required to survive and prosper is almost non-existent. In my opinion, Grant is one of the few who really get it. In 25 years, Grant Cooper is one of less than 60 people I have quoted in my entire body of work.” In addition to his credentials as a Certified Advanced Resume Writer, Mr. Cooper has conducted Business Plan Writing seminars at national conferences, including Career Directors International. Discover unique resume elements, styles, and formats that can ensure that your resume stands out amongst the competition. Learn why a well-crafted resume is still an important marketing tool for your job search. Clearly understand what is needed and expected on a modern day resume. 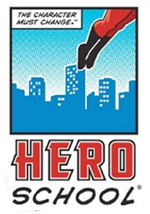 Laura DeCarlo is known, as the “Career Hero” for her pioneering efforts in the career services industry for both job seekers and career professionals. She is the founder of the global professional association Career Directors International. She has earned two degrees and 11 industry certifications and has received the industry’s most prestigious awards in resume writing, career coaching, and job placement. Laura has authored three books and numerous industry courses in resume writing, job search, interviewing, and Web portfolio development. She has been featured in numerous resume compendiums, has acted as resume expert for 54 national professional associations, and has received national publicity. Log on to http://www.careerdirectors.com. David M. Kaplan, PhD, is a Past President of the American Counseling Association and its current Chief Professional Officer. He is also a Past President of the International Association of Marriage and Family Counselors, the New York Counseling Association, and the New York Association of Marriage and Family Counselors. He is a National Certified Counselor (NCC) and a National Certified Career Counselor (NCCC).David’s experience includes eighteen years of practice in private practice and college counseling settings as well as twenty-five years of experience as a counselor educator. Please note that David is not quite as old as the above numbers would indicate as there was significant overlap in activities.Dr. Kaplan’s publications include one book, eight book chapters and thirty-eight journal articles. He has conducted over 250 professional presentations on such topics as professional issues in counseling, counseling ethics, family counseling, and counseling association management.David has been recognized with honors from the American Counseling Association (Fellow), the International Association of Marriage and Family Counselors (Distinguished Service Award), the Association for Adult Development and Aging (Presidential Award for Mentorship), the Virginia Counselors Association (Outstanding Leadership and Service Award), New York Counseling Association (Distinguished Legislative Service Award), the Arizona Counselors Association (Phoenix Award), Argosy University (Excellence in Research Award) and is listed in Who’s Who in America. Discover the internationally acclaimed Action FormulaTM – used by experts, executives and entrepreneurs worldwide to make a greater impact and increase revenues (some by 200% in less than 30 days!). In this interview, you’ll get actionable, how-to tips so you can:WENDY LIPTON-DIBNER, MAis a 3-time bestselling author and internationally recognized authority in the social-psychological factors that move people to action. President of Professional Impact, Inc. and founder of the Move People To Action System for Experts, Executives and EntrepreneursTM, Wendy’s built 10 successful businesses serving every industry from healthcare to hair care in some of the worst economic climates of the past 100 years. A highly respected keynote speaker, Wendy has addressed the U.S. Senate and delivered thousands of speaking and training programs for healthcare, Fortune 500 and non-profit organizations as well as entrepreneurial audiences worldwide. She serves as a trusted advisor and masters-level speaking coach for doctors, executive leaders and top influencers, often helping them increase revenues by at least 200% in fewer than 30 days. Wendy has helped millions of people get what they truly want through her bestselling books, multi-day seminars, online training, media appearances and speaking engagements. When Wendy speaks, people change…and that means impact – for your business and your life. She’s here today to reveal for you the proven formula to move people to action so they do what you want them to do! Now more than ever, it’s imperative that you stay on track to achieve your biggest goal .Jack Canfield provides great advice to help you. 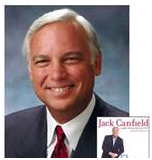 This program, “Conquer Your BIGGEST Goals with Jack Canfield,” is a great motivational piece that will get you on the road to greater success. In this interactive audio, Jack will even help you get even your biggest goal rolling in the right direction. 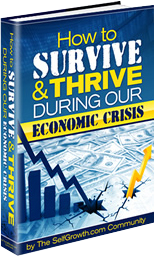 This one-of-a-kind E-book is a collection of over 500 suggestions from the SelfGrowth.com Community on how to prosper in the midst of the current economic downturn. Taking advice from a wide range of perspectives, we condense the best tips into one great Ebook. It is available as a PDF file for immediate download. The 3 things in life you can really control — and how, by simply managing them, you can create any life you want… . And many more powerful and effective secrets and strategies used by the most successful people on earth: secrets you, too, can use to create everything you want in life, no matter what your past or current situation. It is available as a PDF file. There are unseen forces at work that trick people into repeating history. Why apply for job after job without even a callback? If your life seems to be going around in circles, use these 7 Steps to become part of a company, fast! Are you getting interviews for positions that you are highly qualified for, but not getting offers? Maybe your mindset is getting in the way. In this presentation, Certified Life Purpose and Career Coach Sean Cook from HigherEdCareerCoach.Com explores ways to prepare yourself, practically and emotionally, for your next job interview, and to go in prepared to make your best arguments for being the candidate that “fits” their needs. In this one-hour program, Executive Coach and University Professor, Wendy L. Yost, will provide insider information from the perspectives of employers and references, she will discuss the best individuals to ask to serve as your professional references (some suggestions might surprise you) and she’ll provide easy, inexpensive tips for maintaining relationships with former employers and colleagues.This interview includes a special bonus feature on putting your personal and professional networks to work for you as a cornerstone of any successful job search. This audio program is available as an MP3 download that you can listen to on your own computer or compatible MP3 player or IPOD. Paul Lawrence Vann leads the amazing “It’s Possible” empowerment series. It centers on the reality that we are spirits having a human experience. It’s Possible is a dynamic empowerment program that creates a paradigm shift in our habits and ultimately in our lifestyle. Paul, along with Carole Mullins, Jan Malloch and Almon Gunter, share how one transcends from impossible to possible, all the while understanding it’s a quest. This is a remarkable empowerment program, one in which people can truly achieve “The Possible” in their life. Entering the workforce in a challenging job market can be… well, a challenge. Today’s career climate just isn’t easy, but you do not have to travel this path alone. 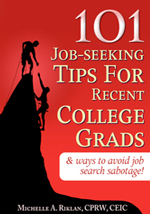 We have gathered 101 top experts in career services (universities, career coaches, CEOs, etc.) who were willing and excited to share their expertise. This book will encourage, inspire, and guide you on your journey to procure and actualize your career objectives.More specifically, our experts offer real and useful advice that you can implement, and carry with you for motivation and reference. Although small in size for your convenience, this tool is rich in content and bursting at the seams with practical and tangible strategies. LIZ RYAN: Break all the Rules and Get that Dream Job! At Human Workplace we teach job-seekers to take control of their own careers. In this eBook we are talking about running your career like a business. This eBook will help you write a short business plan for your business – – the business called My Career.